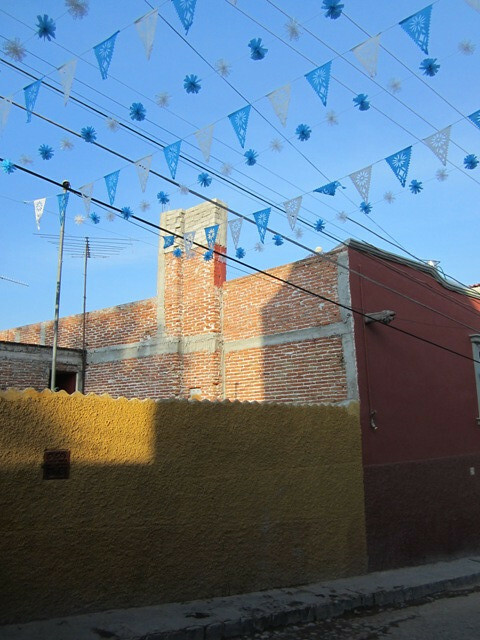 A street festooned with blue banderas, San Miguel de Allende, Guanajuato, México. 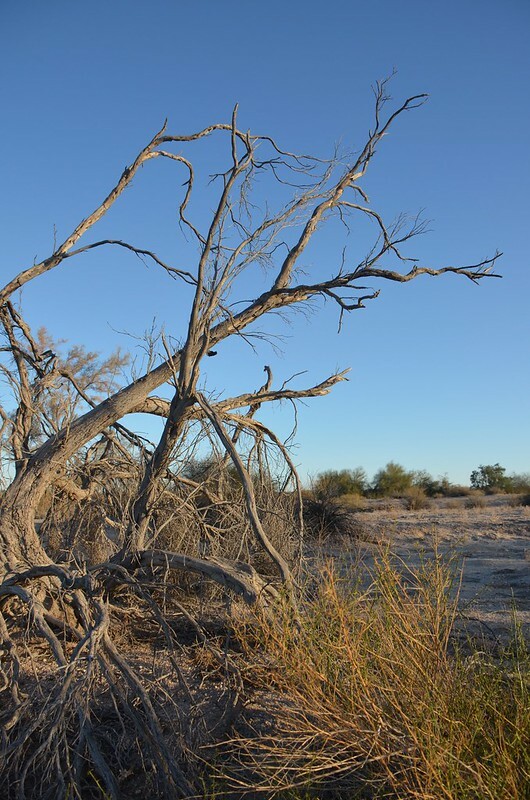 A clear blue sky and some gnarled branches welcome visitors to the Sonoran Desert, Southern Arizona. 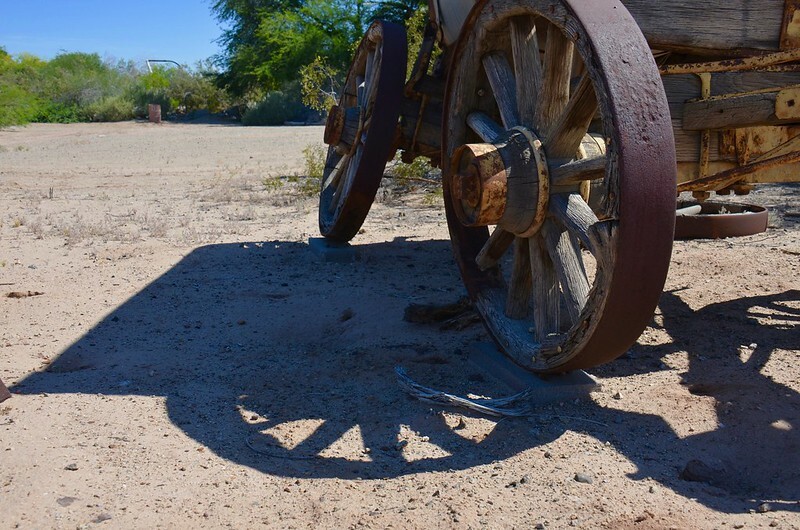 A broken-down farm wagon finds its final resting place at Yuma Conservation Garden, Yuma, Arizona. 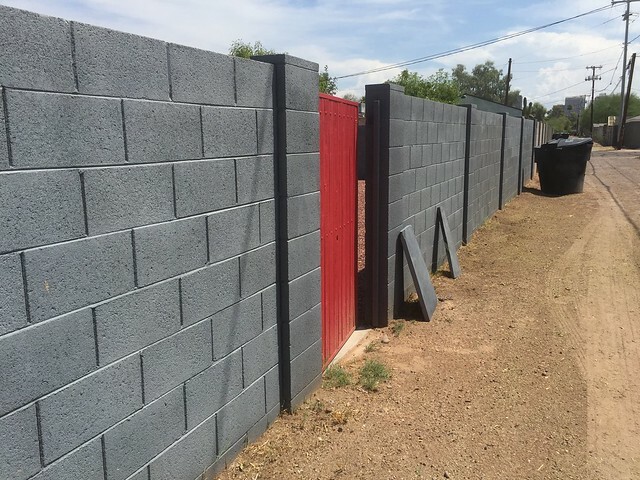 An alley in Phoenix, Arizona almost sparkles at the end of trash-removal day. 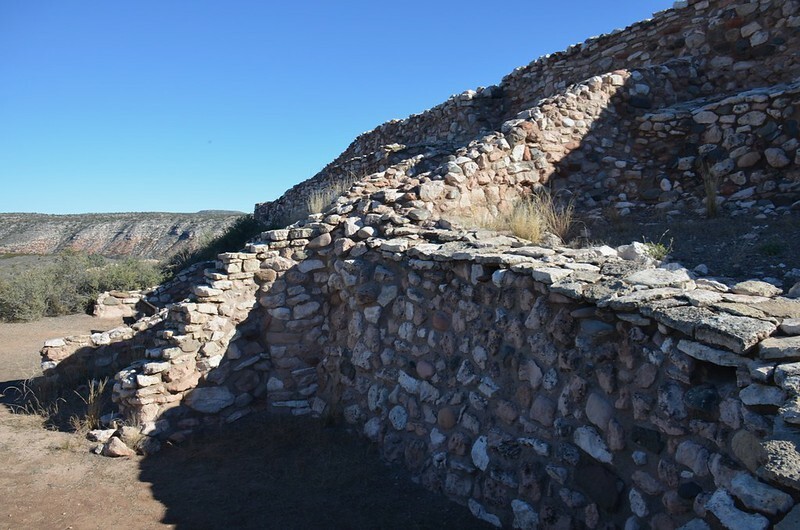 Little creatures make their homes among the ruins at Tuzigoot National Monument, Arizona. 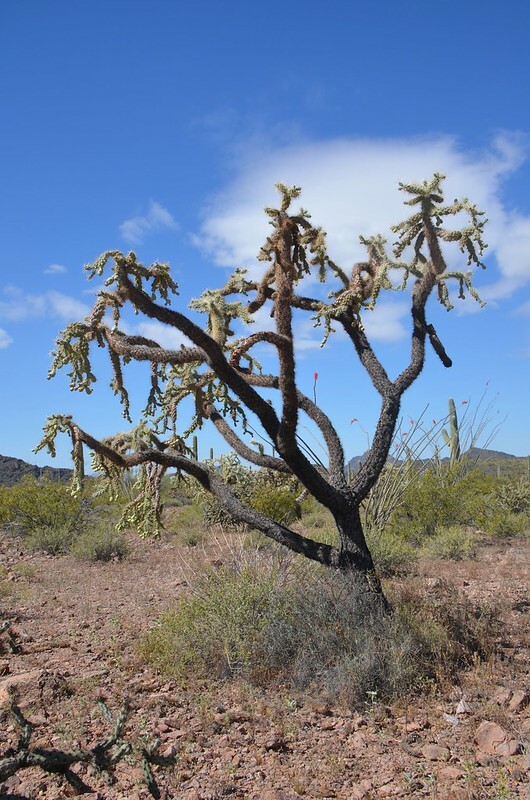 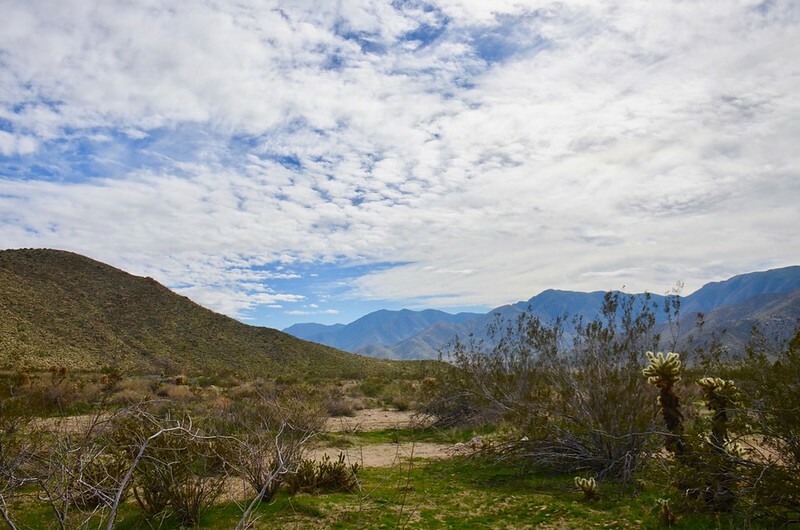 A nearly cloudless blue sky welcomes visitors to the Sonoran Desert, Southern Arizona. 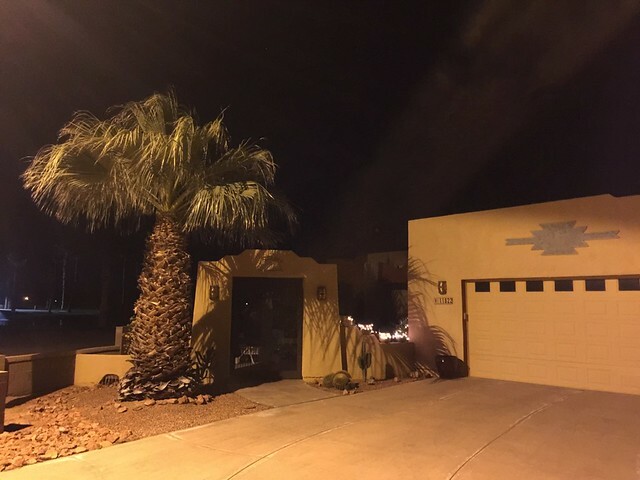 Nighttime shadows surround a house in Yuma County, Arizona.